One of the most popular games out there is of course Mass Effect, with the latest version being Mass Effect 3 for the Xbox 360, PlayStation 3 and PC, so we thought what we’d do today is bring you our pick of our top five Mass Effect apps for the Android plarform for your consideration. 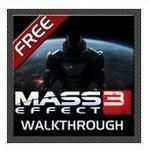 Kicking off with the Mass Effect 3 Walkthrough app for Android, a free Mass Effect 3 walkthrough app that offers a walkthrough of the single player story, find out how to take the battle to the Reapers, and learn about quests and shops in the town hub. 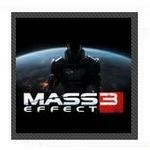 The Mass Effect 3 Walkthrough app also offers the latest news on the game, trophies, achievements, hints, cheats, video guides, and the ability to find out what planets to explore for bonus War Assets and Shadow Broker, and as previously stated this app can be download for free from Google Play. 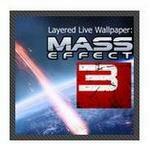 Next up we have the Layered: Mass Effect 3 app for Android, which is of course a Live wallpaper app that offers a layered wallpaper effect when moving through the home screens, and no animation is used to save on the CPU and only updates when scrolling to improve on battery life when compared to animated live wallpaper. Apparently some Samsung Galaxy S2 owners have been experiencing a problem with the wallpaper and the developer says they are aware of the matter and are working on it. For those that would like to give the Layered: Mass Effect 3 app for Android a whirl you can download the app for free from Google Play. Then there is the Mass Effect 3 Central App, and Android app that delivers the latest news on Mass Effect 3 along with the newest release trailers, all the videos about Mass Effect 3, photos and pictures, updates, Facebook and Twitter. 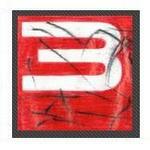 The Mass Effect 3 Central App for Android users was built by Mass Effect fans and gamers to as the description says, gain the best content about Mass Effect 3 right at your finger tips, and for those that would like to own the Mass Effect 3 Central App you can hit up Google Play and of course grab it for free. Moving away from Mass Effect 3 we have the Mass Effect Discussion Android app, especially for the lovers of the video game series that enables you to carry on a discussion via your mobile phone on the mobile online Mess Effect discussion forum. The Mass Effect Discussion app enables the avid gamer to chat about all things related to Mass Effect including Mass Effect, Mass Effect 2 and Mass Effect 3 along with general Mass Effect talk and global off topic discussions. 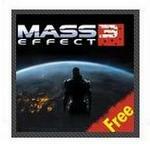 The Mass Effect Discussion app is again a free download via Google Play. Last but not least we have the Mass Effect 3 Wallpapers app for Android, a pretty self-explanatory app that offers the user over 35 Mass Effect 3 HD wallpapers to adorn their smartphone with and more images coming soon. 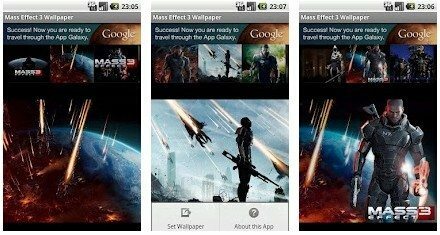 The Mass Effect 3 Wallpapers app is quick and easy to use, simply select the wallpaper you desire and then hit the menu key and then Set as Wallpaper and the job is done, for those that would like the Mass Effect 3 Wallpapers app of course you can grab it from Google Play for free. that Live Wallpaper is awesome! Um Murataza, Apple gets a game…android has to wait another month or more for the port. But considering the ending to Mass Effect 3, I’m not sure how I feel about the franchise anymore is a side story game really worth playing?